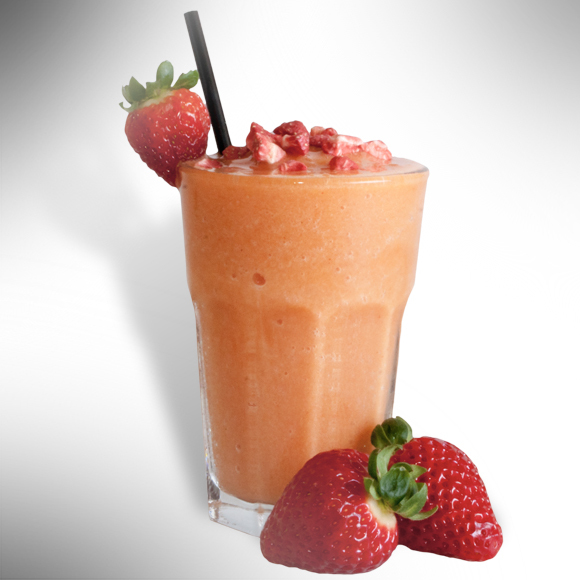 Put the 45 ml of pineapple juice, 67 ml of peach smoothie, 67 ml of strawberry smoothie and 120 g of ice in the blender. Turn it on to the high position and blend for 35”. Pour the mixture into the libbey glass. Decorate with strawberry lyophilised and a straw.